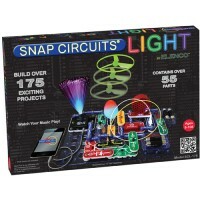 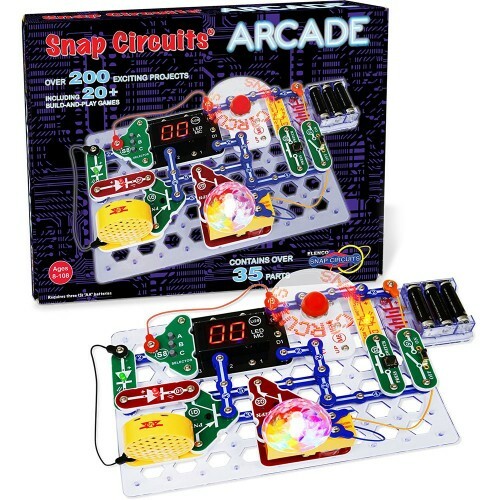 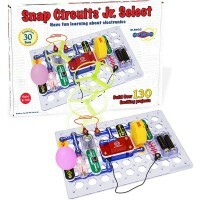 To learn electronics with a snap and have fun completing the circuit projects - that's what the new Snap Circuits Arcade is about. Snap Circuits Arcade is an exciting introduction to problem-solving, following directions, and the satisfaction of a job well done. 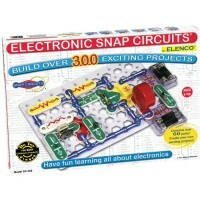 The latest addition to the Elenco's award-winning Snap Circuits line this set features 30 snap modules to complete more than 200 projects. 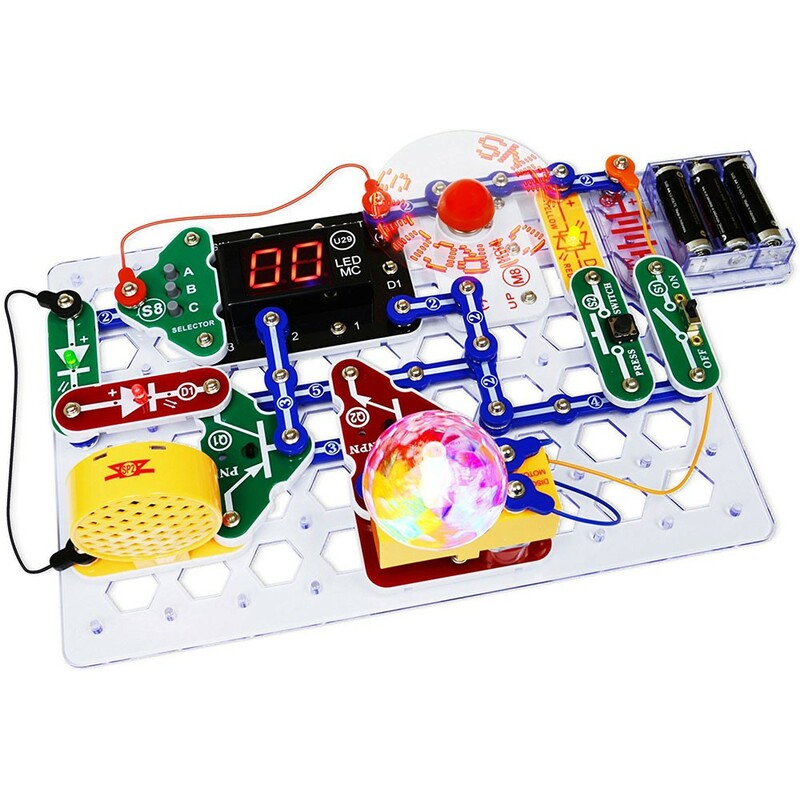 Have fun completing projects using a programmable word fan, dual LED display, and a pre-programmed micro-controller. 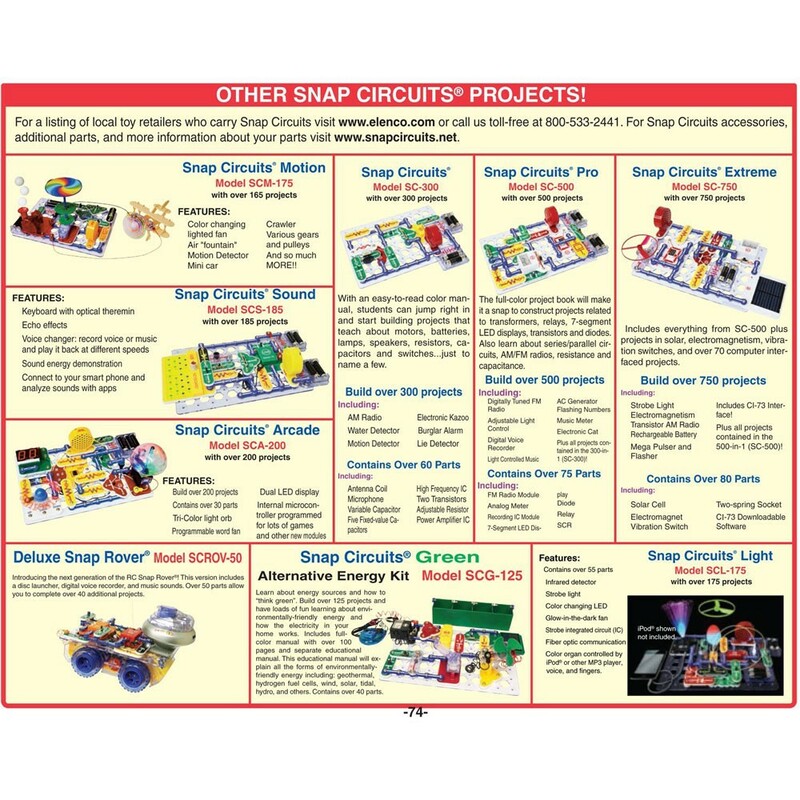 Clear and concise illustrated instruction booklet includes explanations for different snap modules and concepts needed to build Arcade electronic projects. 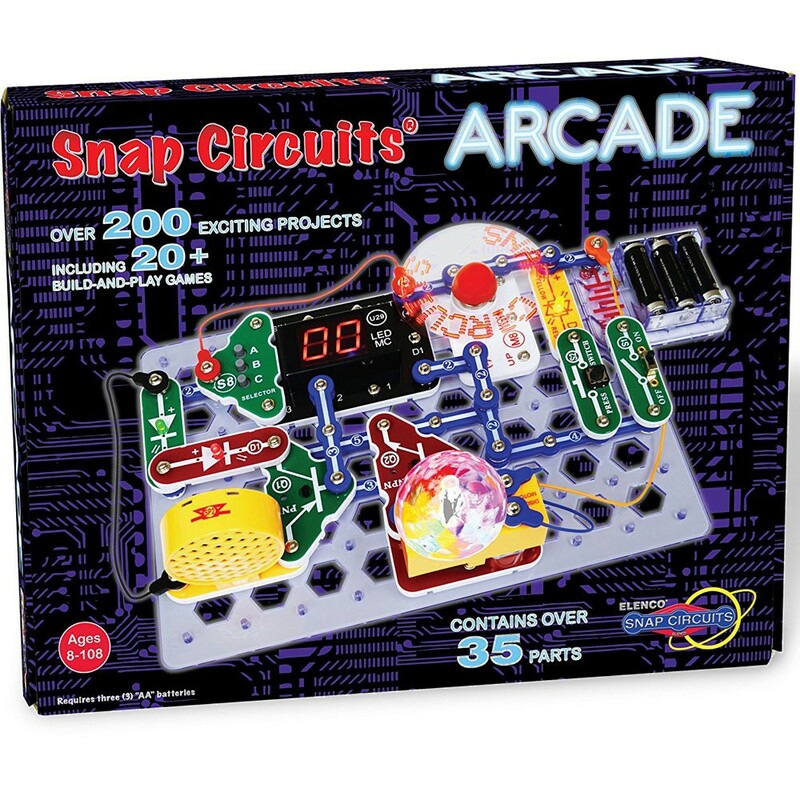 Snap Circuits Arcade Electronic Projects Kit requires 3 AA batteries (not included). 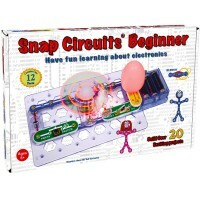 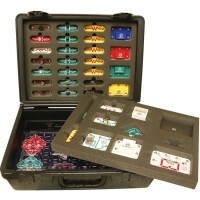 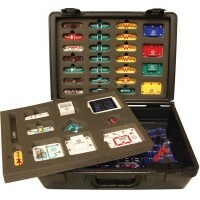 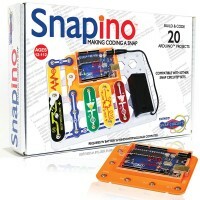 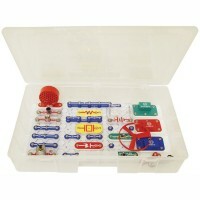 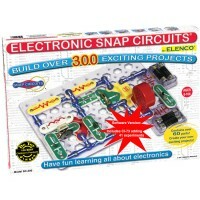 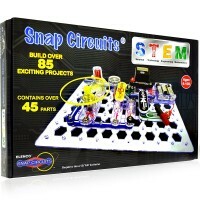 Dimensions of package 12" x 14" x 2.5"
Write your own review of Snap Circuits Arcade Electronic Projects Kit .